In April 2013, Patterson Belknap obtained a significant victory in a discovery dispute over the use of technology-assisted review — a machine-learning technology that can considerably reduce discovery costs. Application of this technology to electronic discovery is relatively recent, with limited legal guidance to date. This decision helps to define the contours of a defensible technology-assisted document review process. This matter is a multi-district product liability litigation involving hip implants in the U.S. District Court for the Northern District of Indiana, in which Patterson Belknap is representing the defendant manufacturer. The discovery dispute arose, in part, because the parties disagreed on two key issues: (1) whether the defendant permissibly used search terms to reduce document volume prior to applying technology-assisted review, and (2) whether the defendant improperly trained the software unilaterally and not jointly with the plaintiffs. The plaintiffs argued that despite the discovery efforts already expended by the defendants in individual cases prior to consolidation, discovery should restart so that the technology-assisted review software could be applied to the entire document collection and trained jointly by the parties. 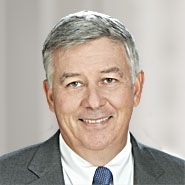 Patterson Belknap argued that its client conducted discovery in a reasonable, effective, and transparent manner and that restarting discovery would be unnecessary, prohibitively expensive, and inconsistent with the purpose of consolidating pre-trial discovery in a multi-district litigation. The Court ruled in favor of the defendant, after it found that the defendant’s process complied fully with the relevant Federal Rules of Civil Procedure, rejected the plaintiffs’ demand for joint training, and determined that cost-shifting was appropriate, such that plaintiffs would have to bear the multi-million dollar expense if they wished to proceed in their preferred manner. The Court’s order can be found here.